Crossovers in games are often hampered by greed – companies not wanting to let their money-making characters and settings out of their firm, possessive grip. But, increasingly, publishers, developers, and occasionally pop stars seem to recognise the power of the creative clash. That by taking two things that people care about and combining them, you can make both parts stronger. For creators, it’s an excuse to stick beloved characters in places they don’t strictly belong and see how that new context changes them. This list throws together some of the greatest and, frankly, oddest collaborations that PC gaming has ever seen. A clever crossover resulted in one of the best strategy games we’ve ever played. In some cases, the sense of the pairing had been obvious to everyone for years beforehand – it had merely been a matter of waiting for the right contracts to be signed. In others, the joining was a brave one – the kind of thing that could only make sense once you’ve seen the finished results. In both cases, they’re worth celebrating as examples of what can happen when corporations work together in service of art. Or if not art, at the very least, fan fiction. 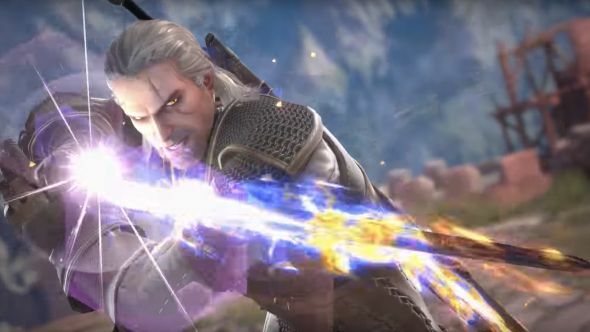 When the announcement was made that Geralt was coming to Soulcalibur VI, it was difficult to separate the news from the disappointment. CD Projekt Red had coyly teased the collaboration beforehand, and many of us had immediately imagined a Witcher 4 – despite being told by the developer, in no uncertain terms, not to expect one. Fandom doesn’t make us rational. This crossover is special because the witcher brings his context with him in the form of a Kaer Morhen stage. After spending hundreds of hours in the Northern Kingdoms, there’s a warm, fuzzy feeling that comes with seeing Geralt rise from his meditations, draw one of his two swords from his back, and go to town on somebody or other from the Soulcalibur roster with a little help from Igni, Quen, and Axii. Thanks to the faithful rendition, Geralt of Rivia looks right at home in Soulcalibur – insofar as anywhere is home to the witcher. The real question is, should any of the Soul Calibur roster join the The Witcher TV show’s cast? There’s something charming about the fact that while making The Sims, EA consistently manage to get huge pop stars – people who can request extra pillows for their dressing room and be taken seriously – to go into a studio and re-record their hits in a made-up language. You can lose hours on YouTube watching Lily Allen or Pixie Lott sing three minutes of gibberish into a mic. Hypothetically, of course. Katy Perry went further, however: she appeared on the cover of The Sims 3’s Showtime expansion pack, effectively make it her own DLC. Once upon a time, teenagers looking for identity hung posters of their favourite artists on their walls; in The Sims 3, they could hang Katy Perry posters on the walls of an idealised teenager they’d created themselves. That’s probably fine, right? The Sims is a good role model, after all. The most bizarre aspect of this Stuff Pack is that its wardrobe is themed entirely around the aesthetic of the California Gurls video. That was a particularly garish one – and self-aware about it – but if you want a cupcake-based guitar, cotton candy trees, or a waffle cone picnic table this is probably the only place in PC gaming you’re going to find them. We had plenty of incentives to buy Final Fantasy XV on PC – not least the fact that half the game had been transformed into much better shape since it first arrived on consoles. But, for whatever reason, Square Enix decided we needed a couple more. In its wisdom Square Enix decided that, if you were to buy Final Fantasy XV through Steam, you’d get yourself an in-game HEV suit, Extremely Science glasses, and a trademark crowbar – the closest you’re ever likely to get to playing as Gordon Freeman in a new PC game this decade. 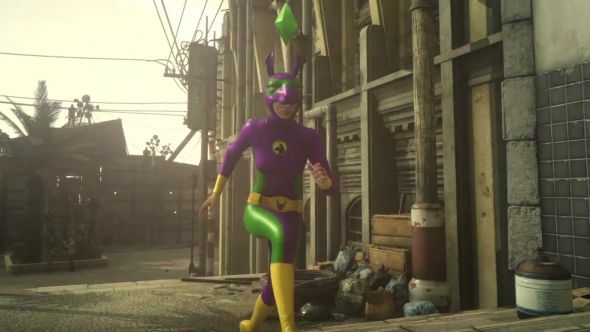 The Origin-based incentives were a little stranger: two superhero skins themed on The Sims 4, named PlumBob and Llama Man after the floating green diamond and, er, llamas respectively. They’re not quite as iconic as ol’ Gordon, but if you’ve played The Sims 4, you’ll recognise the references – these aren’t just spandex silhouettes Square Enix plucked out of nowhere. Do the costumes have to be so bright, though? Come on, look at them… just not directly, or without appropriate eyewear. See Dr Freeman about acquiring your protective specs. You know those conversations you have in the pub about which studio should adapt which series? Like, how good would it be if the Hitman devs had a go at James Bond, or if Hideo Kojima and Guillermo Del Toro made a new Silent Hill – ah. Oh. Well, apart from that one painful exception, Total War: Warhammer is proof that these impossible dreams aren’t always just wishful thinking. 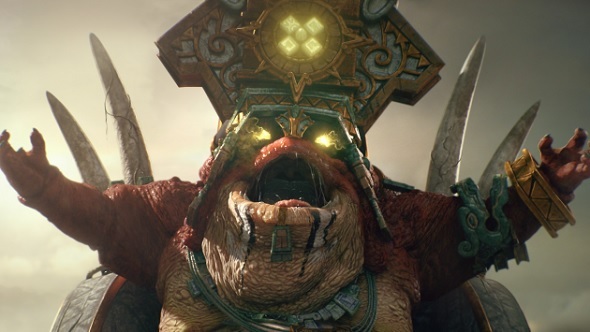 The imaginary pairing of Games Workshop and Creative Assembly was the subject of many a PC gaming thread over the years, and then it happened. 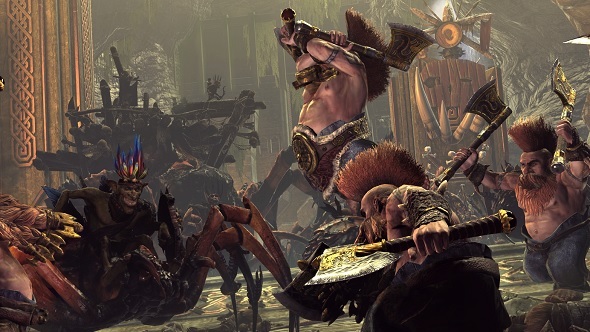 Hailed as a match made in heaven when first announced, it has proven to be exactly that, with Warhammer’s wildly different races injecting some real freshness to the Total War formula, and resulting in the most successful entry in the long-running strategy series to date. The lesson? Keep having those impossible conversations. Much like belief in fairies, it clearly only takes repetition to bring your dreams to life. In this case, it’s just harpies instead. It’s not often that we see collaborations between two titans of a genre, but Capcom and Bandai Namco proved that it doesn’t have to be all bird kicks and uppercuts, coming together to produce Street Fighter X Tekken. It was a crossover so anticipated that, upon its announcement, fightsticks around the world ceased to click, and briefly, there was peace. Incorporating Street Fighter’s 2D design and Tekken’s tag team playstyle, the game managed to seamlessly blend the iconic flair of both series, topping it off with a story so ludicrous it could be easily mistaken for a work of fan fiction. Where else are you going to get Chun-Li firmly squaring up to Jin Kazama? 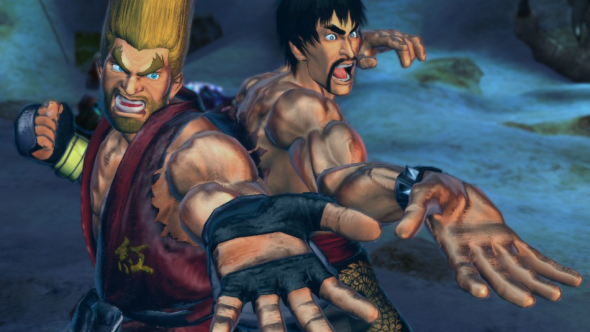 Out of all the crossovers we’ve listed, Street Fighter X Tekken feels like it makes the most sense, which is a quite something considering its plot. Imagine living in a universe where martial arts is basically the law of the land. Now imagine that colliding with a similar universe, and you’ve got to fight everyone for an object that looks suspiciously like Pandora’s Box. It’s like Godzilla vs King Kong, only with a lot more Hadoukens.